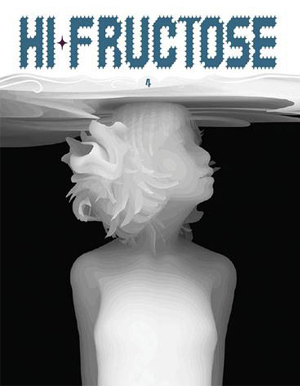 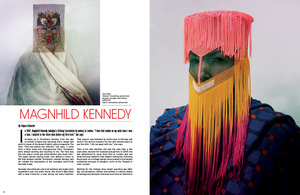 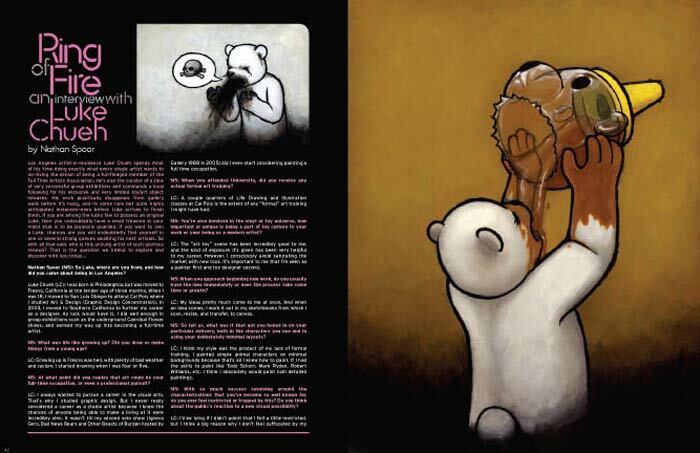 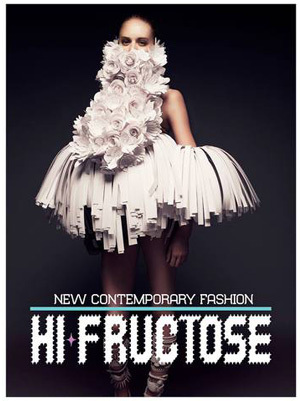 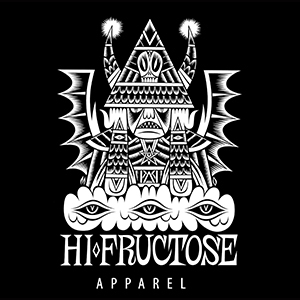 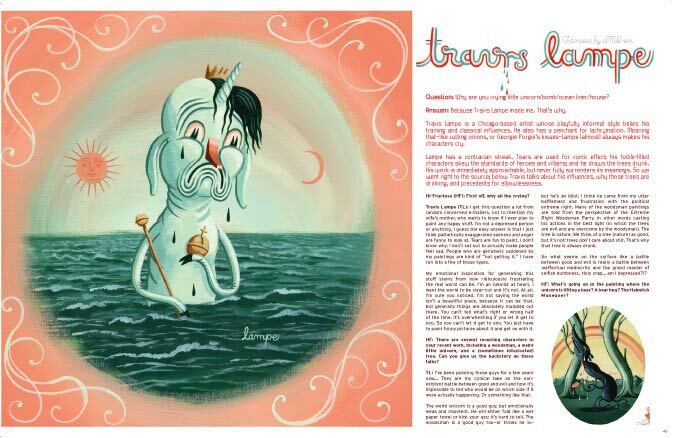 Volume 12 of Hi-Fructose Magazine will be in stores early July. 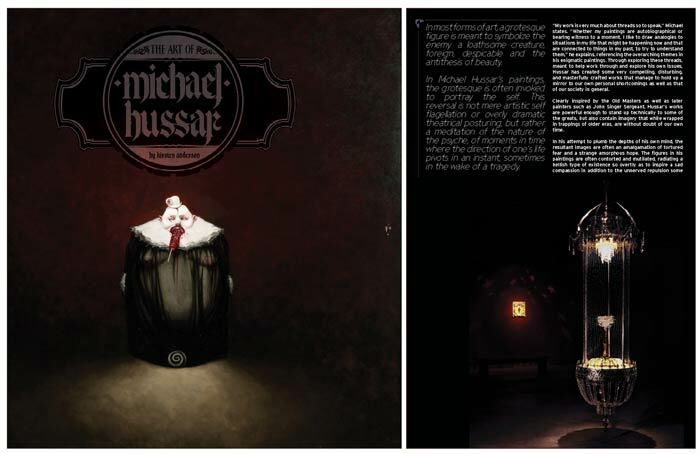 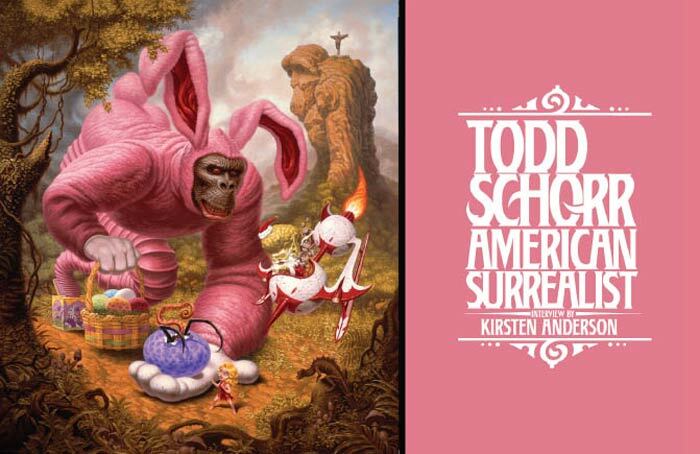 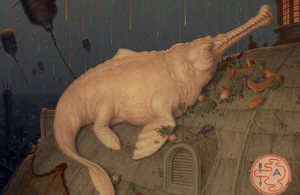 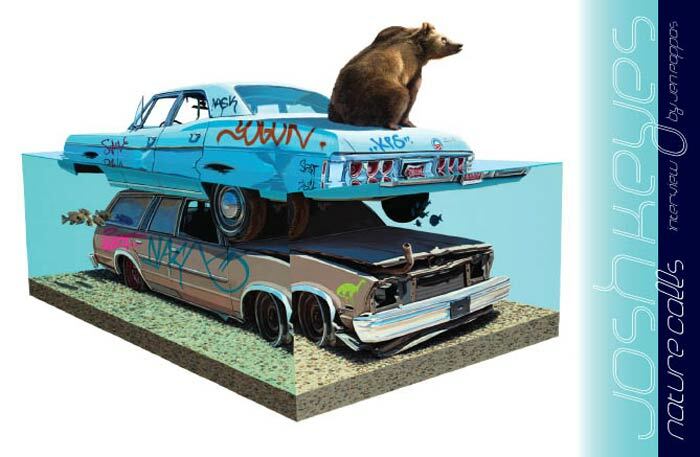 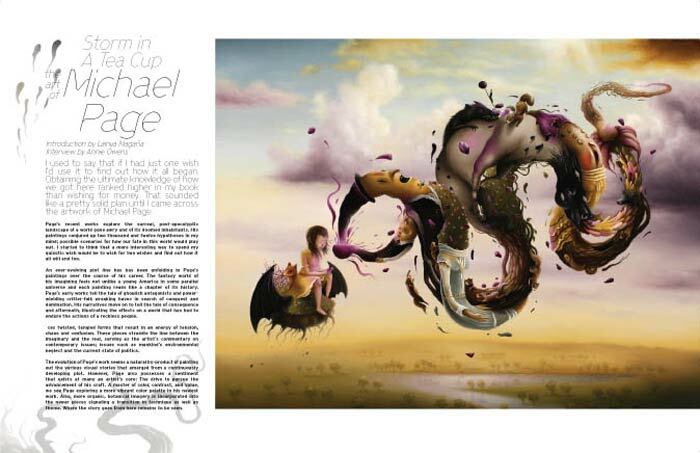 Features include an extensive interview by Kirsten Anderson on American Surrealist:Todd Schorr, a cover feature on the powerful paintings of Josh Keyes, Luke Chueh, Jingyoung Yu’s haunting sculptures, the brilliant meditations of painter Michael Hussar, survive a ride on Michael Page’s maelstrom, Fuco Ueda’s disturbing dreamscapes and Travis Lampe’s world of weeping pulps. 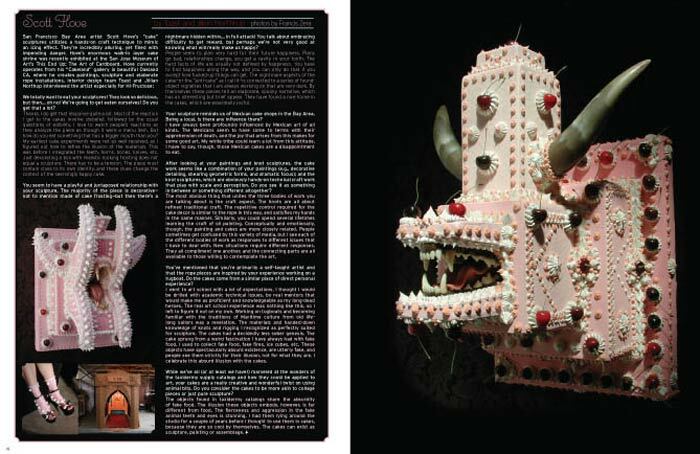 Exposes on Mike Shine’s Art Shack, Scott Hove’s Cakeland plus toy exposes, Acquired Tastes and more. 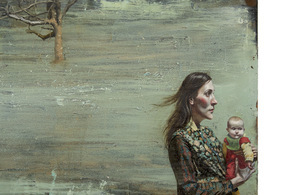 Check out a few preview images here!